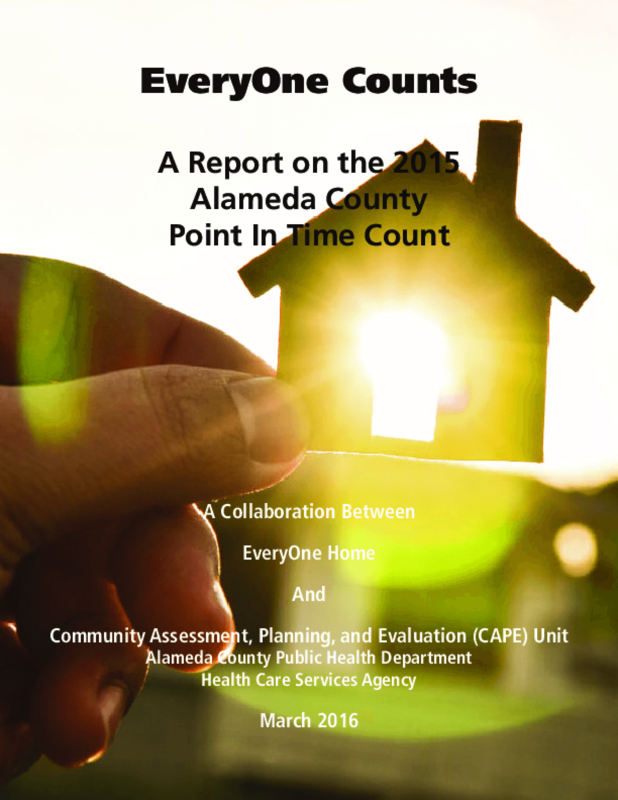 Locally known as EveryOne Counts!, the Point-In-Time Count of individuals and families experiencing homelessness records the number of people staying in shelters and transitional housing on a given night in late January each year and estimates the number of people who are unsheltered, living outdoors on that same night every two years. Conducting a Count is a requirement of receiving federal homeless assistance funds. The unsheltered Point-In-Time fieldwork was last conducted on January 28, 2015. Research shows that the overall Count has remained steady over the last six years, hovering at just over 4,000 individuals. Each year our system helps an increasing number of homeless people return to permanent homes. The stable Point-In-Time estimate indicates that new people are losing housing as fast as we are helping others find it. The solution to homelessness is housing that is safe and affordable for people at all income levels. We will not prevent and end homelessness without more affordable housing. Copyright 2016 by EveryOne Home. All rights reserved.